Setting up the Xero integration with Vend – How can we help? The Vend-Xero integration is a link between your Vend store account and your Xero account. The integration simplifies your store’s accounting by automatically sending daily and account sales, payment totals and invoices from Vend to your Xero accounting system. This reduces manual data entry, saving you time and increasing accuracy. Easily reconcile your payment deposits in your bank account against your sales totals and payment totals from Vend. View sales, payments and posted stock orders - these will be reflected in your Balance Sheet and Profit and Loss statement in Xero. Match payments made to suppliers against your stock order (accounts payable) invoices and payments from invoiced customers against their account sales. View your profitability against wages, rent, marketing and other expenses in Xero to understand your true real-time performance. If you’re running a loyalty program using Vend, you’ll also be able to keep track of outstanding loyalty liabilities and the expense to your business. Important: A Vend store can only be linked to a single Xero organisation. You cannot link separate outlets to separate Xero organisations. Consider the impacts of the integration on any store processes, such as gift cards and cash management. If you are using either of these two features, you will need to make sure you set them correctly with Xero. For gift cards, click here. For cash management, check out this article here. Make sure you understand the changes to your in-store processes each day if you're using the integration. This includes stock ordering, account sales, and closing your registers. You can read more about how the integration works below. Be aware that once your Xero organisation is linked to your Vend account, it cannot be changed. For more information on this, get in touch with our support team. Set custom sales and stock order account codes for each product. Import your existing customer contacts and supplier contacts from Xero. Important: If you haven't already, we strongly recommend talking to your accountant before turning the integration on. Before configuring the integration settings, you'll need to make sure you've done a few things. Set up tax rates and groups in Vend and Xero. Set up a refund account in Xero. Ensure any Xero accounts you want to process payments to have payments enabled. Bank accounts have this enabled by default. All other accounts, such as clearing accounts, must have this completed manually. Set up a sales invoices default due date in Xero, so customer invoices are not due immediately. 1. If you haven't yet set up your Vend tax rates, make sure you do this first. To learn how, check out this article. 2. Next, you need to set up matching tax rates in Xero. You need a matching tax rate for each tax you have in Vend. 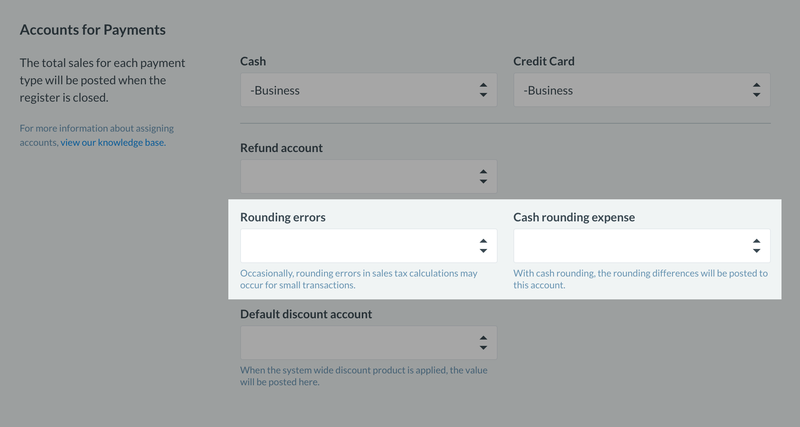 Taxes in Xero can be found under General Settings -> Tax Rates. Every tax rate in Vend MUST have a matching rate in Xero. This includes component taxes if you are using group taxes in Vend. When setting up group taxes in Xero, set up the individual tax first, then set up the group tax with the individual rates as components. Never select Compound, as Vend does not support this. Xero has a great article on setting up tax rates in Xero, check it out here. Every Vend customer using Xero will need to set up a refund account in Xero. Typically, when you process a refund, Vend will take the amount refunded off the total amount collected using that payment type that day. For example, if you took $3000 in cash payments, and issued $50 of cash refunds, Vend will send $2950 of cash to Xero as the total. Sometimes, the amount you need to refund might be MORE than the amount taken that day. For example, you took $560 of payments, but a customer needed an $800 cash refund. Vend cannot deduct $240 from the cash payments account. Instead, Vend will send $0 for the cash payments total for the day, and -$240 to the refunds account so that you can keep track of this. Set up a current asset account. Tick the Enable payments box. When you close your register at the end of the day or make an On Account sale, Vend sends payment information automatically to Xero, so that you can reconcile this against the deposits into your bank account. Most retailers prefer that this payment information is sent directly to their bank account feed in Xero. You may also choose to use a payment clearing account. If you want this payment information sent to a clearing account in Xero (rather than to a bank account), you'll need to make sure payments are enabled for this account. Open the Chart of Accounts. Find the account you want to make payments into. Check the Enable payments to this account box. To do this, log in to your Xero account. Next, navigate to Settings -> Invoice Settings in Xero and choose Default Settings. Here you will find the Sales Invoices Default Due Date field, fill this out with your chosen due date and click save. Now, you're ready to turn on the Vend-Xero integration. Important: Once a Xero organisation is linked to your Vend account, it cannot be changed. You can remove a Xero organisation from Vend, but you cannot then link a different organisation to the same Vend account. This is because all past account sales, register closures, purchase orders, and customers in Vend will remain linked to the original Xero organisation you set up. If you have any questions about this, please contact our support team. 1. On the sidebar, select Setup and click Add-ons. 2. 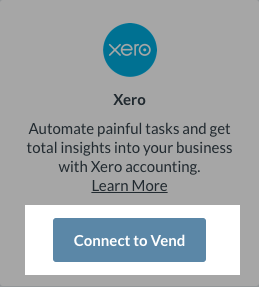 Click the Connect to Vend button for the Xero integration. 3. Click the Enable Xero button. 4. Enter your Xero login information and click Login. 5. Select the Xero organisation to match to your Vend store. 6. You'll be taken back to Xero settings page in Vend. Important: We do not recommend that you map any Vend fields to the Xero accounts receivable account. Because accounts receivable is a system account in Xero, it cannot always receive payments and may cause errors in Vend. Next, you'll need to choose which accounts to send sales, purchase and payment information to. Make sure you've got all the accounts already set up in your Chart of Accounts in Xero and have enabled payments for these accounts. Note: If you have added any new accounts in Xero you will have to click reload accounts on the Xero settings page in Vend before they are available in vend to map. This is the sales account in Xero which all product sales totals will be sent to by default. Send your product sales totals from register closures and account sales to a specific account in Xero. If you don't want all sales going to the same account, you can set an account for each product on the product page. Send completed stock order totals to Xero where an accounts payable invoice will be raised. You can select which inventory orders you want to send. All customer invoices for 'On Account' sales will be sent to Xero automatically. If you don't want all purchases going to the same account, you can set an account for each product on the product page. Cost-of-goods-sold (or “COGS”) are the direct costs involved in purchasing or making the products you sell. Your COGS post to Xero and will be recognised as the goods are sold. This means when you sell a product, the cost of the product and the revenue from its sale will be recognised in the same accounting period. Easily calculate your gross profit but better yet, view your profitability against your wages, rent, marketing and other expenses to understand your true real-time position. To learn more about cost-of-goods-sold in Vend and how to set it up, check out this article here. You can also choose to post these payments to a clearing account. If you choose this option, you'll need to create a clearing account in Xero and ensure that payments to that clearing account are enabled in the Chart of Accounts in Xero. This account will normally be a current asset account. Make sure the account code is six characters or less. Otherwise, your payments will not post. To learn how to do this in Xero, check out this article here. Vend gives you the option to setup products with or without tax. You need to fill in the 'No Tax' field by selecting the Xero account you want any tax free product sales to be sent to. The settings will apply to both stock orders (accounts payable invoices) and On Account sales (accounts receivable invoices). This setting does not apply to register closures. All register closures are sent as approved. Note: If you are using On Account sales, we recommend choosing 'Approved'. You are unable to receive a payment in Vend on unapproved invoices. In Vend, you can specify the date On Account invoices are due in Xero, to do this you'll need to have added a default due date in Xero. Underneath Invoice due date, specify the date you want your customer invoices to be due. You can pick from either 'none - due immediately' or your chosen default due date in Xero. Note: All future on account sales will use the due date you specify. You cannot specify custom due dates on an individual sale basis. Choose how much detail you'd like Vend to send to Xero in the accounts receivable invoice from each register closure. Detail each sale: Send detail of each sale as a separate invoice line. This means products may appear more than once. This is a matter of preference - check with your accountant how much information they would like sent to Xero. Note: If you are planning to enable Vend's cost-of-goods-sold feature, you will need to map a few additional fields in this section. To learn more about this, click here. 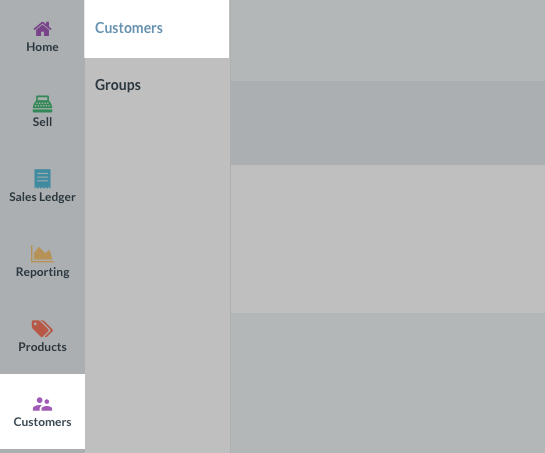 Importing and managing your existing Xero contacts in Vend. If you have products with different sales tax rates in Vend and want to send them to different accounts in Xero. If you sell both services and goods/products. If you sell stock on consignment and want to track these sales separately in Xero. To track non-standard products like freight charges and import duties. Sales account code - This references the account in Xero where sales of the product will be recorded. 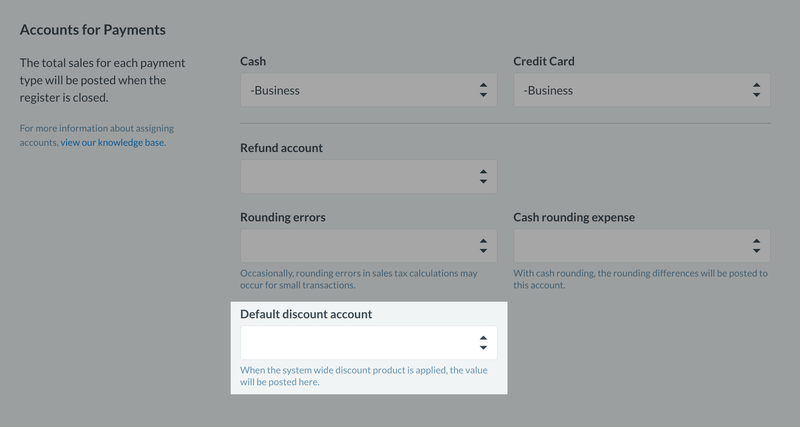 Purchase account code - This references the account in Xero where product purchases from stock orders will be sent. To override the default account mappings, edit the product and enter the account code that you wish this product to be mapped to. These codes can be imported into Vend using a CSV file. Use the column heading account_code for your sales account (revenue accounts) or account_code_purchases for your purchase account (expense accounts) as shown in the image directly below. 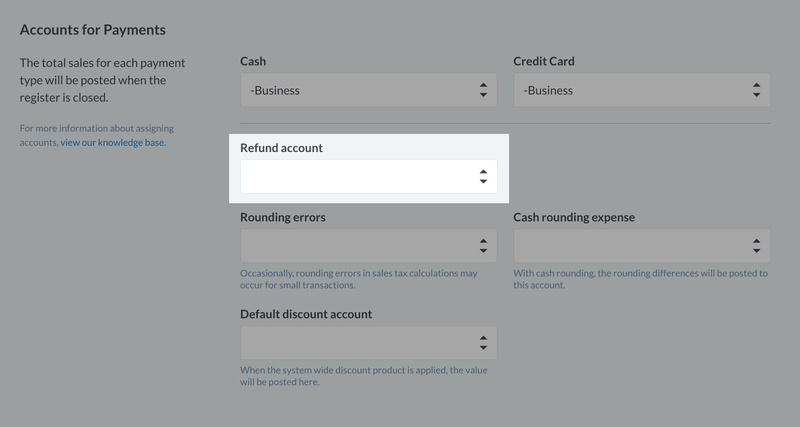 Any fields left blank will default to the Xero account you have previously mapped against your sales and purchases fields in Vend. Note: If you're setting custom account codes for products in Vend, make sure you've set up the corresponding accounts in Xero. You should also ensure the tax assigned to these Xero accounts match the tax rate on the products. If you're an existing Xero customer, and you're new to Vend, you'll probably want to import your contacts from Xero. Vend allows you to import existing customers or suppliers into your Vend account using the 'Import from Xero' option. Important: If you've already added the same customers or suppliers directly into your Vend account, importing contacts from Xero will create duplicate records. We do not recommend importing contacts in this instance. In Vend, open the 'Customers' page. Click the 'Import' button, and choose the 'Import from Xero' option. Any contact in Xero labelled as either a 'customer' or a 'general contact' will now be imported. This may take some time if you have a lot of customers in Xero. Your customers will now be linked to Xero. Important: If you have linked your customers between Vend and Xero and you edit one of these customers on Xero's end, the changes will not apply in Vend. Next time you edit the customer in Vend or used in an on-account sale, these changes will be overwritten. If you are maintaining your customer details in Vend, either in Register or via the ‘Customers’ page, it is important to ensure that Vend is the master. This means that any changes or edits made to customers should be done in Vend, not in Xero. When you apply any changes to a customer in Vend, these changes will be pushed across to Xero. All edits you make to customers in Vend will update in Xero, excluding any changes made to the phone number field. To learn more on how to import and edit your Xero customers in Vend, check out this link here. Important: If you have synced your customers between Vend and Xero and you edit any customer details in Xero, the changes will not apply in Vend. Next time this customer is edited in Vend or used in an on-account sale, the changes you made in Xero will be overwritten. Important: If you've already added your Xero suppliers directly into your Vend account, importing these contacts from Xero will create duplicate records. We do not recommend importing in this instance. To pull across your suppliers from Xero into Vend click on the 'Product' tab in the side menu and navigate to the ‘Suppliers’ page. Once here, click the 'Import from Xero' button to the top right of the screen. Currently, only customer details edited and managed in Vend will automatically update in Xero. Any updates you make to your supplier details in Vend will not update in Xero. Any contacts in Xero who are set as suppliers will now be imported to Vend. This may take some time if you have a lot of suppliers in Xero. A1. The first time you complete an On Account sale for a customer, Vend will create the customer in Xero for you. You don't need to create the customer manually in Xero as this may cause duplicate customer records. A2. Each supplier will be created in Xero the first time you receive a stock order for them in Vend. Sending stock orders to Xero is optional, so if you want to keep these separate, that's not a problem.